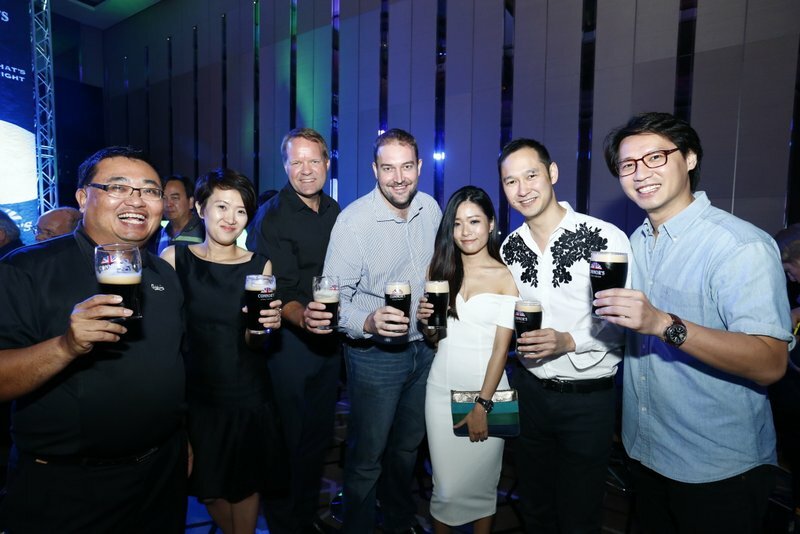 Connor’s Stout Porter, a premium draught by Carlsberg Malaysia, unmasked its brand new identity to pair with its perfectly refined brew crafted to suit today’s discerning stout drinkers. Created using the original British Stout Porter recipe from the 1700’s, Connor’s Stout Porter was carefully concocted by our skilful Master Brewer Kristian Dahl to deliver the same crisp texture, creamy head and gentle roasted undertones. Maintaining the essence of the original Stout Porter, the recipe provides a unique balance that is not too rich or too bitter, but just made right. “Connor’s Stout Porter pays homage to the original Stout Porter that was once the reward after an honest day’s work for porters in Great Britain back in the 1700’s. 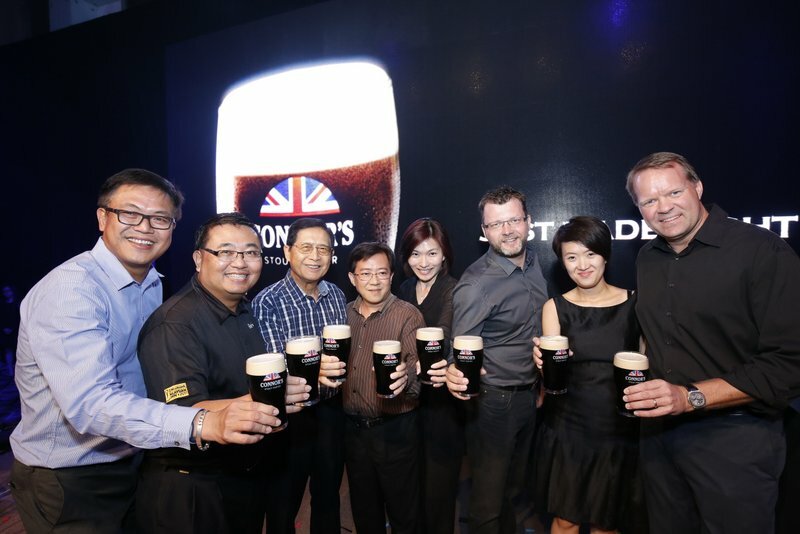 It was the simple joy sparked from a refreshing pint that these porters looked forward to after a long day at the docks, and it is this very essence that is embodied within our recipe as well as our new tagline, ‘Just Made Right’,” comments Henrik Juel Andersen, Managing Director of Carlsberg Malaysia, at the launch of Connor’s new brand identity and campaign. “With Connor’s Stout Porter, we want to promise consumers a genuine experience that showcases that you don’t need anything else but great company and a great brew to have a good time. It’s a brew that was made with our drinkers in mind – with balanced flavours just made right that make it a satisfying drink after a long day at work,” he added. 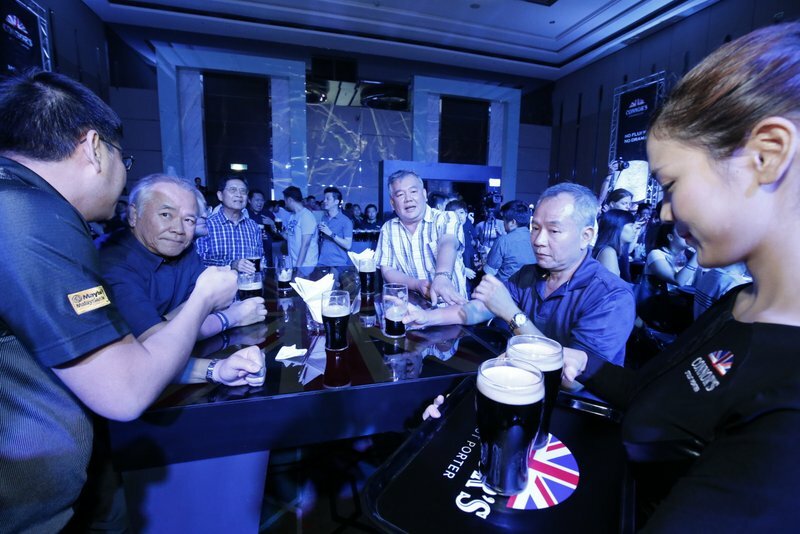 Held at Nexus Bangsar South, the launch was packed with straight-up, unadulterated fun – doing away with drama and theatrics throughout the night. Upon arrival, guests were encouraged to loosen up their office attire, get comfortable and unwind with a pint of Connor’s Stout Porter. As the curtain dropped for the reveal, the moment was celebrated with a burst of confetti, paving the way for the new logo now sporting a half-moon shaped Union Jack – a tribute to the distinct history of the original Stout Porter. 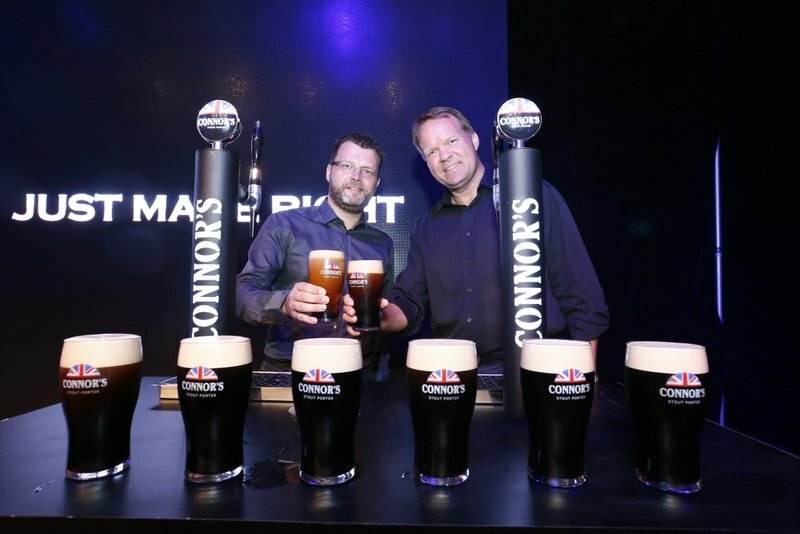 The Connor’s Brand Ambassadors then took to the floor, serving pints emblazoned with the new logo. 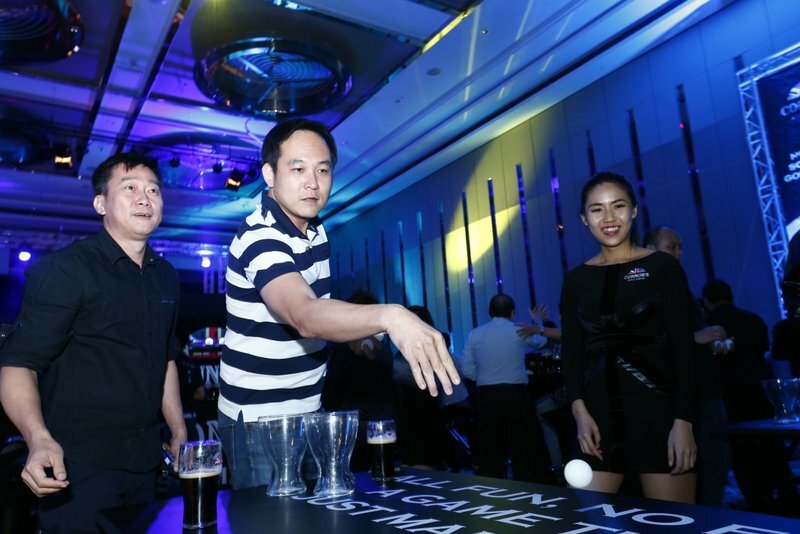 The evening progressed as guests were invited to partake in a myriad of activities, including the Ultimate Beer Pong Challenge where guests stood a chance to win exclusive Connor’s Pint Glasses. 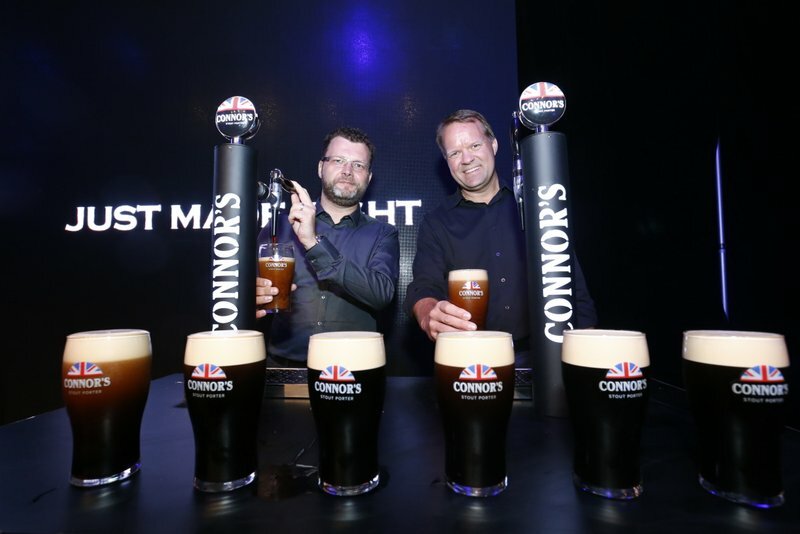 Guests were also given a chance to tap their own pint of Connor’s at the mobile bars placed within the venue, allowing them to experience the art of pouring a pint just made right for themselves. Local talent Russell Curtis entertained the crowd with his upbeat, lively tunes before the ever-energetic trio, Paperplane Pursuit closed the night on a high note. 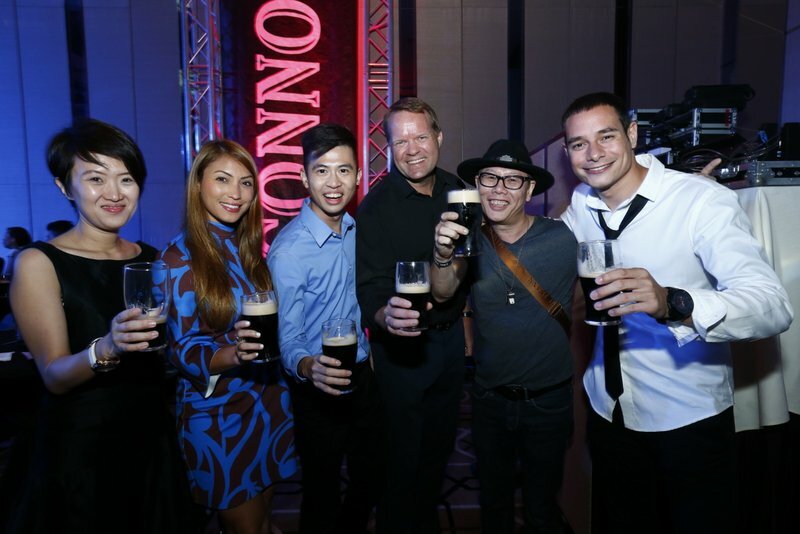 In conjunction with the “Monday Made Right” campaign, Connor’s Stout Porter will be carrying out a consumer programme nationwide from 13 April to 18 May 2015 where consumers get to enjoy “Buy 1, Free 1” promotion every Monday at all Connor’s Stout Porter outlets. On top of that, selected key market squares would offer free pints of Connor’s Stout Porter on Mondays to encourage consumers to start their week right. This entry was posted in News and tagged Carlsberg, connors, connors stout, connorsmy, launch by TheGoodGoodGuy. Bookmark the permalink.